Neighborhood fare grows to become a steadily growing food franchise brand. 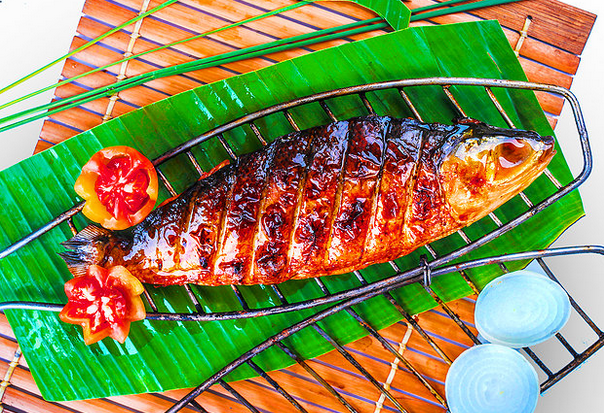 To help the team, the Valencia family, which owns fish farms in several provinces including Iloilo, Samar, General Santos, Davao, and Pangasinan, volunteered to cook for them a special grilled bangus recipe, which the team later adopted to become part of its eating regimen. It was also during this time that the family set up a small takeout outlet, aptly named Pixie’s, in their neighborhood. In three months’ time, from selling 10 pieces initially, they were able to sell 250 pieces of sinugba (‘grilled’ in the Ilongo and Visayan languages). As demand increased, the family expanded the business and decided to establish a full dine-in store along Mindanao Avenue in Tandang Sora, Quezon City within the same year. In time, franchising inquiries from frequent customers and big investors flooded Valencia’s e-mail, prompting the family to sit down and consider expanding the business. In 2007, the company was organized into a corporation called Pixie’s Sinugba Inc. He was then appointed as Pixie’s franchising director. Valencia admits, “As a person who trained in nursing, I really don’t have the fundamentals of expanding the business via the franchise route.” Challenged by the huge task assigned to him by his family, whose other members were preoccupied by other family ventures, he began to do his homework. He attended several franchising seminars. In one of those sessions, he met executives of Francorp, a franchise development and consulting company. He also says he made it a point to craft every detail of Pixie’s franchising scheme and mechanics himself. On the other hand, a dine-store franchise requires a P2.8-million investment, with a franchising contract lasting 10 years. 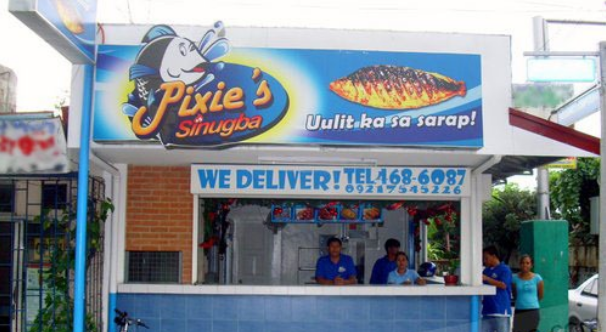 At present, Pixie’s can be franchised in the provinces of Baguio, Cebu, Davao, Cagayan De Oro, Bacolod, Iloilo, Batangas, Cavite, Laguna, Bulacan, and Pampanga. In line with its long-term strategy, the company has introduced more meal options for their customers, which range from lower C to A classes. Its most affordable meal costs less than P100. To attract customers even during the early part of the day, Pixie’s has also started to serve breakfast meals. “Even if I don’t have a business background, I was able to grow a company built around one of my family’s food favorites,” Valencia proudly concludes. This is an updated story. Photos from Pixie's Sinugba's Website.